Bellone: "A Hike and Bike network will expand transportation options, connect our downtowns, and create a transit-oriented framework needed to attract more young people to Suffolk County." Suffolk County, NY - December 12, 2017 - Suffolk County Executive Steve Bellone today announced the county has received a $250,000 grant through the New York Metropolitan Transportation Council to help fund a Countywide Hike and Bike Network Master Plan. The Suffolk County Department of Economic Development and Planning, which applied for the funds, will issue a Request for Proposals to hire a qualified planning firm to undertake the study. “A Hike and Bike network will expand transportation options, connect our downtowns, and create a transit-oriented framework needed to attract more young people to Suffolk County,” said Suffolk County Executive Bellone. “This funding is a critical first step to help us achieve this goal and make Long Island a more competitive region." 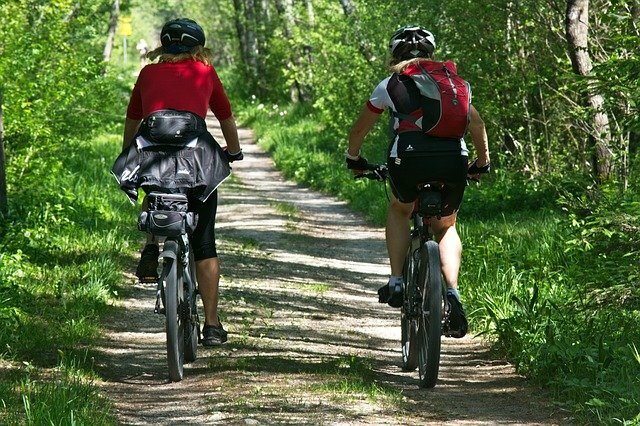 The study will examine existing and potential hike and bike infrastructure across Suffolk County that can better connect residents to employment, recreation, services, commercial centers, and natural resources through enhanced multi-modal facilities. The study will also identify network gaps and propose a series of phased improvements that increase connectivity. The total cost of the study is $312,807, which includes a 20 percent local match of $62,499 covered by in-kind staff time. The New York Metropolitan Transportation Council receives funding from the Federal Highway Administration and Federal Transit Administration and then awards it to sub-recipients to carry out regional planning priorities. A robust Hike and Bike Network will improve bike and pedestrian transportation options, generate economic activity, improve health, support an active lifestyle, reduce greenhouse gas emissions and household transportation costs, and improve air quality. The proposed Hike and Bike Network complements Suffolk County Executive Bellone’s Connect Long Island plan – a regional transportation and development initiative that promotes sustainable long-term economic growth in Suffolk County. The network will foster walkable and bike-able communities, connecting popular destinations, historical sites, downtowns and transit hubs across the county. The network will work to improve the quality of life for residents, reduce the reliance of automobiles and boost economic activity. In June 2017, the Suffolk County Department of Economic Development and Planning issued a Request for Information regarding a countywide bike share program. A Hike and Bike Network will complement the proposed bike-share program, which has been deemed both feasible and desirable for use in downtown areas, near transit stations, in public parks, and on college campuses. Subject: LongIsland.com - Your Name sent you Article details of "Suffolk County Executive Bellone Announces $250,000 Grant Towards Countywide Hike And Bike Network"